Barilla was looking for a clean, mature and sophisticated redesign of their brochure which will be globally distributed to consumers via mail, trade shows and events. 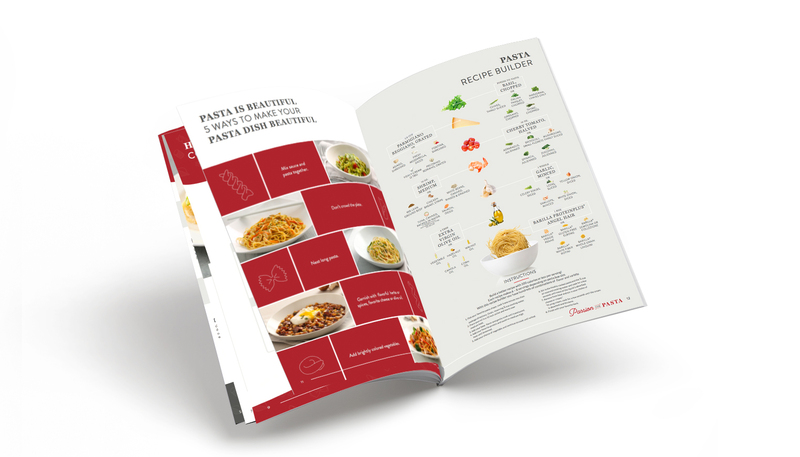 The brochure includes infographics, custom illustrations, recipes and of course, extensive information about pasta. Founded over 100 years ago, Barilla is now the world’s largest pasta company. They’re passionate about pasta and strive to bring family and friends together to enjoy delicious, healthy meals. Passion for Pasta is a subsidiary brand that promotes the Barilla vision and showcases a healthy, fun and delicious lifestyle. 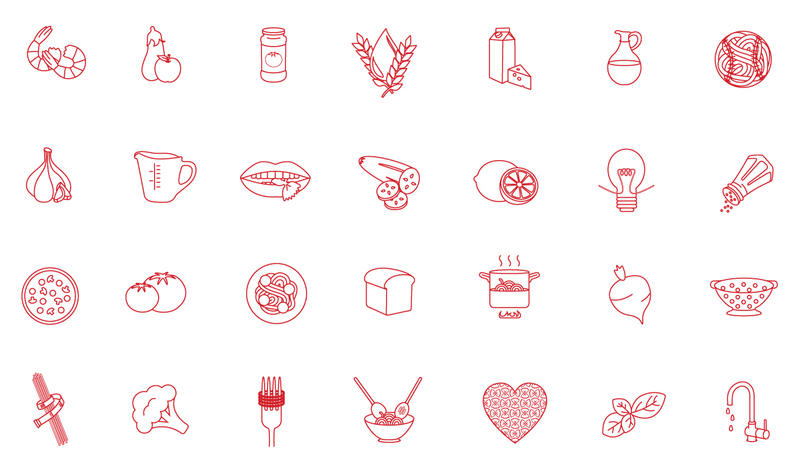 Refresh the Passion for Pasta brand to reach consumers in a clean, simple and modern way. 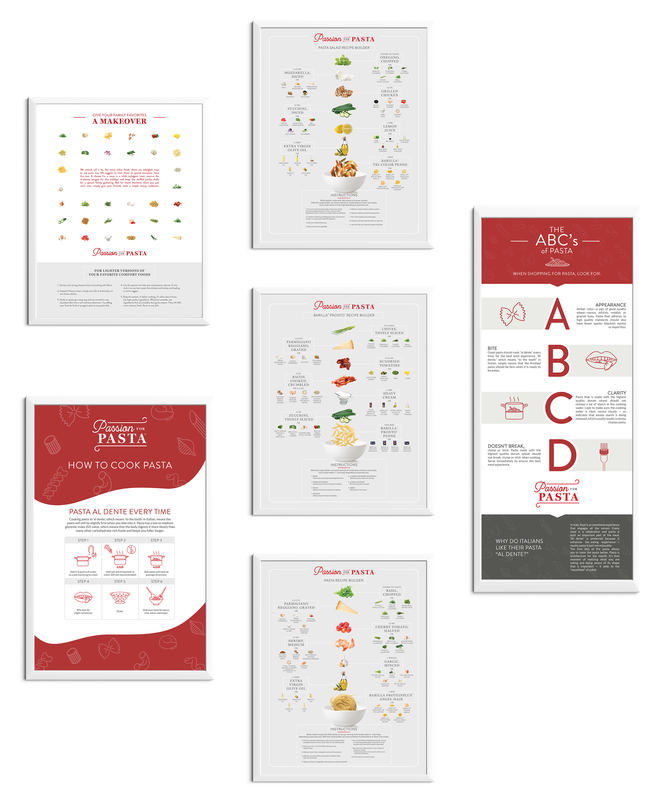 We designed various infographics to inform consumers about the multitude of ways pasta can be enjoyed. Since the information we received was not data-heavy, we were challenged to create visually appealing infographics using mostly lists, copy and images. We created a custom set of illustrations and icons that represented the new look of the Passion for Pasta brand and appeared in both digital and print pieces.